Every house needs furniture and decor to make it come alive and look appealing, both to the inhabitants and the guests. The decor also needs to be updated constantly from time to time in order for the place to retain that freshness and vibrancy. There are many ways you can add some life to your home, these include changing the cushion covers, adding some new curtains or even by bringing in some beautiful artificial flowers. Show-off a great collection: If you have the habit of collecting beautiful and unique porcelain pieces, don’t hide them away in unsightly cupboards. Show them off in a beautiful dining table setting or use them as decor to store beautiful artificial floral collections or even fresh cut flowers. Add or replace a curtain: Curtains are to a room, what eyebrows are to a face. They help frame the edges and give definition to the room in question. If your room doesn’t have curtains, add a pair or two to give it some colour and texture in the form of a different fabric. Use a mix of lace, linen or thick blackout ones to give your space a structured look. Incorporate some colour: If the room in question is dark and gloomy, adding some colour could give it a fresh lease of life and make it look like a whole different room altogether. 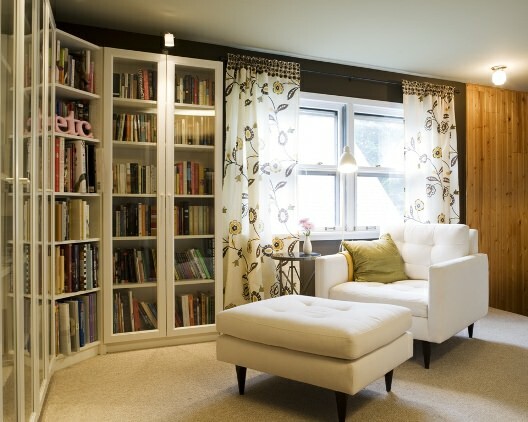 Change the soft furnishings, add some floral decors and add a patterned rug or two for a fun and cheery look. It’s fast and you will be able to get items according to your budget. 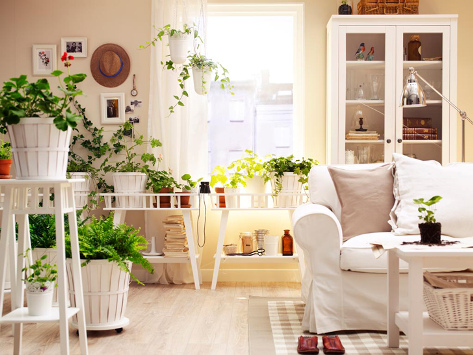 Add white: White might be a boring colour but in interior decor, it is extremely versatile and popular. Paint your walls white for a crisp and clean look that will open up the room and make it look bigger than it is. Paint your old dining table in white to give it a polished and brand new feel. It’s a quick and inexpensive way to spruce things up at home. Move furniture around: If you have a lot of furniture in one room, try to move them about and scatter them around so the rooms look spacious instead of drowning with furniture. A bigger room seems more inviting. 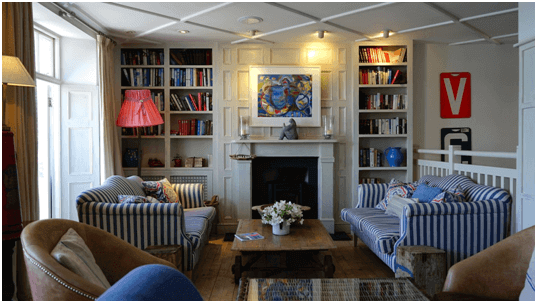 Also arrange your couches and chairs away from the wall for a more intimate and cosy feel. Add some wall art: Wall art can be anything from paintings to metal artwork or even just sticking some plates on the wall and covering the entire thing. Try to be creative and add some of that onto your walls to make them pop and look exciting. Mix and match Decor: It’s not important to have all the decor in your house match each other. Be a little bold and mix and match a few pieces to give a fun and cheerful look. Home decor is an essential component of living in your own house. A house like anything else needs the love and care of the occupants so it always looks it best. If you want a beautiful and comfortable house, it is important to put in the effort in order to make it look its best. Can I install a hanging bed in my house?